Now that Black Creek Festival is taking a hiatus due to tennis, Toronto music lovers need not despair - there's the excellent Toronto Summer Music Festival! It may not have the hype and the big budget of Black Creek, but its offerings are every bit as interesting and musically significant. Since my return from the Munich Festival, I've already attended a number of terrific events at TSMF. 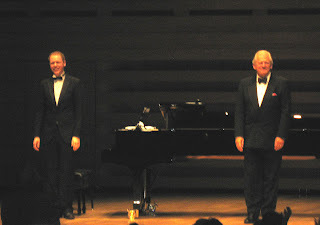 Most memorable was the recital given by the great Sir Thomas Allen, in a program of Schumann's Dichterliebe, plus songs by Beethoven, Schubert, Peter Warlock, Michael Head, and Frank Bridge. At 67, he sounds better than many singers half his age. As encores, he sang September Song by Kurt Weill (and recorded by great singers from Ethel Waters to Frank Sinatra) and - are you ready - Cole Porter's Miss Otis Regrets! It's nice to see Sir Thomas letting his hair down for a couple of American standards. The next day, I attended a masterclass he gave at Walter Hall, Faculty of Music. He put three baritones and a soprano through their paces. Thanks to the wisdom and experience of Sir Thomas, these four singers - already very fine musicians to begin with - performed on an altogether higher level thanks to Sir Thomas. Last evening, I attended a chamber concert starring the Leipzig String Quartet and the dean of pianist, Menachem Pressler. It was very well attended and the artists very warmly received. Romantic Pleasures - The Nash Ensemble with pianist Michael McMahon and soprano Nathalie Paulin. 6:15 p.m. - pre-concert talk with Tom Allen. On the program are Liszt's song settings of poems by Victor Hugo, Faure's songs on texts by Paul Verlaine, Chausson's Chanson perpetuelle Op. 37 for soprano and piano quintet, Schubert's Quartettsatz in C minor D. 703, and Mendelssohn's Piano trio in D Minor Op. 49. Festival passes, including Flex Passes are available. 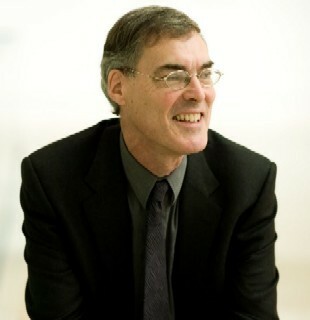 Single tickets are available online at www.torontosummermusic.com by phone at 416-408-0208; in person at The Royal Conservatory Box Office, 273 Bloor St W; at the door from 4:30 pm on the day of the performance at Edward Johnson Building, University of Toronto, Faculty of Music, 80 Queen’s Park Crescent.